This wallpaper shows the Roy Mustang's fire array on the anime/manga series "Fullmetal Alchemist." I draw the image in Illustrator and import it into photoshop. Then I used the same filters and photoshop brushes from my other FMA wallpaper "Broken Automail." 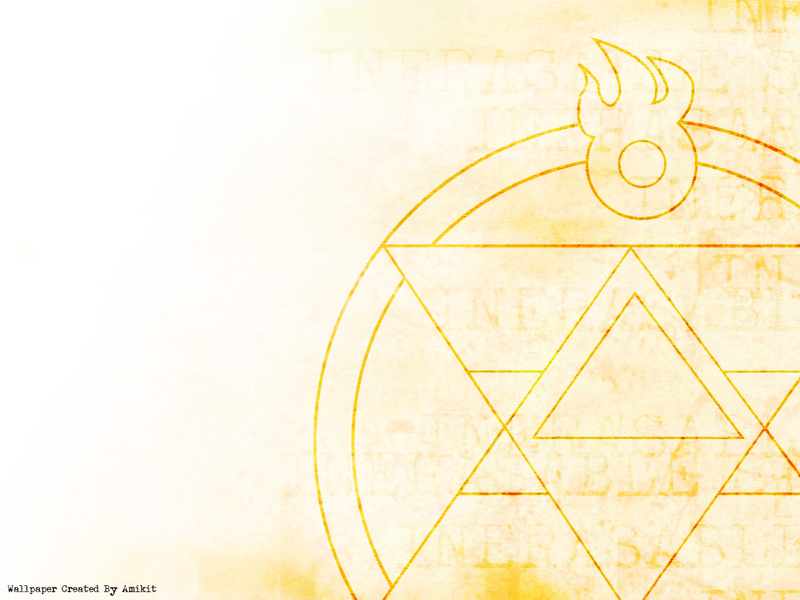 This is part of the "FMA Symbols" wallpaper series. Please comment! More Comments! = More Wallpapers! i admire the colors and all the olden-day feel of this piece! This is another proof of your Incredible Style! this one is ok... i like ur other ones better! but still nice job with the blending and it would be a pretty good desktop! I like it; it's simple and clean =] Keep up the good work!